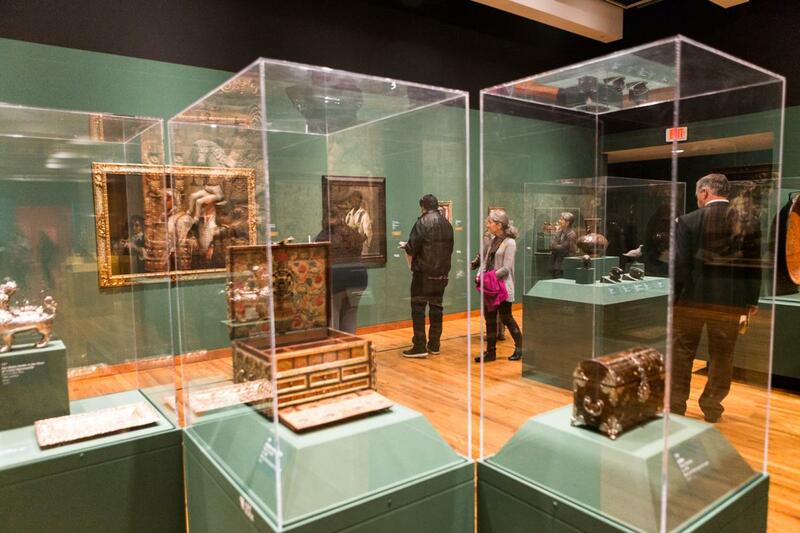 The world-renowned exhibition Visions of the Hispanic World: Treasures from the Hispanic Society Museum & Library is currently in Albuquerque for the first stop on its first traveling tour. Both the first and second phases of the exhibition, “Ancient, Islamic, Medieval, Golden Age Spain, Colonial and 19th C. Latin America” and “Goya through the 1920s in Spain” are now open. Albuquerque is filled with vibrant, unique and authentic experiences and culture. Explore the local scene and plan your Visions of the Hispanic World vacation. Find other things to do while you’re here. Albuquerque boasts some of the most diverse cultures in the country – well-known as a melting pot of Native American, Spanish and Mexican heritage and community. Find out how you can plan a weekend in celebration of our city's unique culture. In this 300-year-old city, it’s easy to find chefs serving dishes that have been part of the region’s culinary lore for generations. But the local dining scene has also witnessed a culinary revolution of late. Indeed, whether your appetite leans toward the classics or you’re more inclined toward adventurous eating, Albuquerque’s best eats will satisfy your taste and style. Albuquerque’s numerous museums and cultural centers provide you with a unique and in-depth perspective on diverse topics covering art, history, culture, science, nature and unique topics such as hot air ballooning and turquoise. Find other exciting happenings around town, from specialty art shows to city festivals, and everything in between. Add some more ABQ fun to your itinerary. The Visions of the Hispanic World Culture and Arts Trip Sweepstakes entry period has ended. A winner will be selected soon. If you’d like to review the official rules click here.